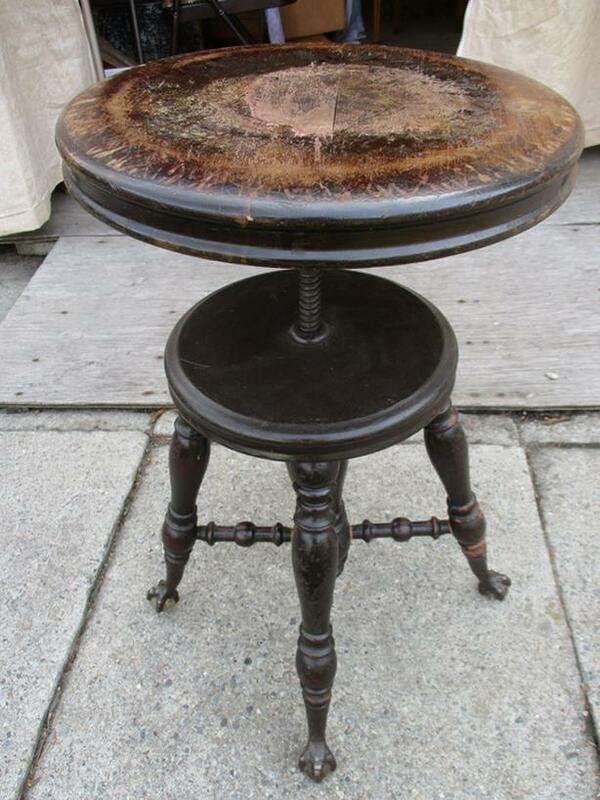 THIS IS A 1920S PIANO STOOL. THE FOUR CLAW FEET HAVE GLASS BALLS. IT STANDS FROM 19 INCHES TO 24 INCHES HIGH. IT IS SOLID AND READY FOR ANOTHER 100 YEARS.